Fly Ace Corporation gave us goodies to try out in the kitchen and to my surprise, most of the products were already stuff we've been using! The Good Life Bread Crumbs, Sesame Oil, the Dona Elena Olive Oil, Diced Tomatoes, and Olives are all cupboard regulars we prefer over other brands. So let me share with you my recent kitchen creations. We just had a potluck with the Davao Bloggers Society and the dish I chose to whip up was Penne ala Puttanesca. I used the Dona Elena Olive Oil, Black Olives, Penne pasta from the Fly Ace goodie bag and also bought some capers and anchovies also from Dona Elena. This dish is my go to light pasta dish because it is so easy to make and is always a crowd pleaser. Even my certified carnivore of a husband enjoyed it. A good friend of mine taught me this recipe and we've been cooking it for gatherings since I learned how to prepare it. 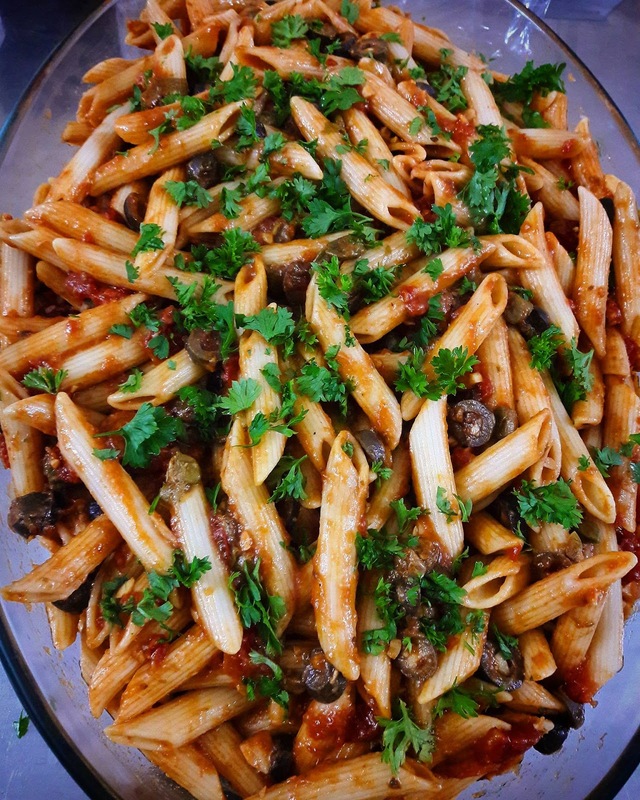 I would recommend this dish for those who prefer cutting back on pork or beef, or for those that would like to have a lighter type of pasta dish. Since the only thing left in the goodie bag was the Good Life Pancit Canton, I decided to make something for my husband and my father-in-law. I made some Sesame Beef Broccoli Noodle Stirfry. I just marinated some beef strips in soy sauce, sesame oil, and oyster sauce. 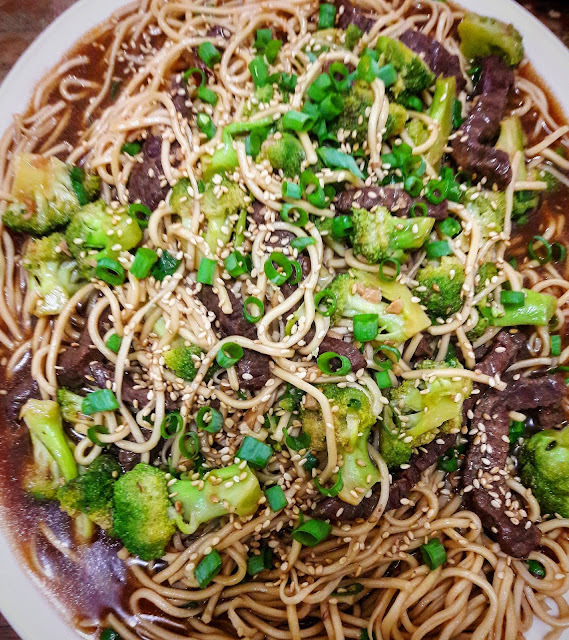 I cooked it with some broccoli and added some half-cooked pancit canton for some saucy noodle action. Guess what? They enjoyed the dish so much that there weren't any leftovers to keep. Any cook will tell tell you that the best compliment you can give someone who made an effort to prepare a meal is a clean plate--- every morsel eaten with gusto. My hubby and his dad told me they loved the dish and went in for seconds... and thirds... and fourths... Until the platter was empty! This was my first time to cook this dish and I am happy that my family enjoyed it. I always feel a little anxious when I'm trying out something new in the kitchen. Thanks, Fly Ace, Dona Elena, and Good Life for the goodies. We really enjoyed the experience :) Now we can add another dish to our house menu faves!